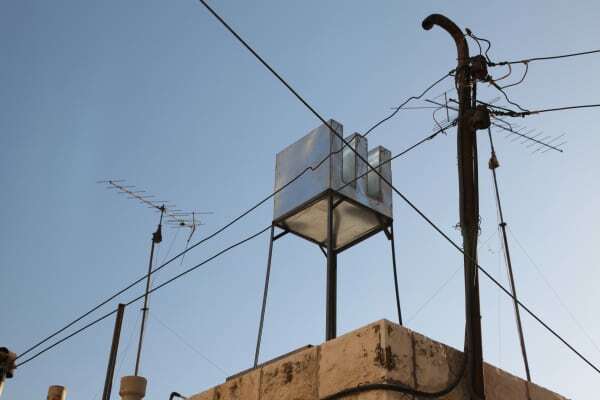 A series of water tanks are installed on the roofs of Damascus. These are three-dimensional renderings of the uppercase E that is depicted in the medical eye chart. It so happens that Syrian president Bashar Al-Assad is a British-trained ophthalmologist. Water supply in Damascus is characterized by numerous challenges: groundwater exploitation, increasing demand, intermittent supply, and pollution. The quality of residential supply mirrors social divisions – with the poorest neighborhoods receiving the poorest service.